Where is the pool of health IT talent nowadays? In a Best Practice Report survey from the CIO Executive Council at CIO.com, 133 IT executives across different industries noted a “massive gap” between the demand and supply of talented IT professionals. 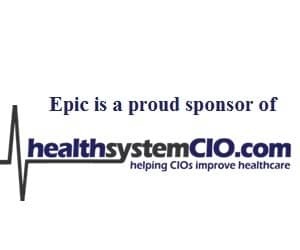 Health system CIOs face the same problem due to a shrinking talent pool and increased competitiveness with other industries. This includes areas such as IT security, data analytics, clinical informatics, project management, business applications and technology infrastructure. Let’s discuss some ways to help find a more robust pipeline of health IT to help close the gap. Who are these talented IT professionals and how do you find them? What skills and attributes do they need to possess? What experiences and backgrounds do they need? Where is the pipeline? Before going to the outside to hire, have you checked around for talent within the organization? The value of internal candidates can be their knowledge of the culture, and political climate. They have perhaps become super users in certain IT specialties. Giving them some additional training and mentoring could produce some strong IT leaders. Promoting from within and offering a career ladder to employees is a wonderful boost for morale and loyalty. Hiring talent on an interim basis to fill gap areas is a great idea. There are independent consultants and specialized consulting service firms that have experience in all areas of health IT and can provide specific target areas of expertise. Sometime interims can hold a position for months and even years. Interim IT positions range from CIOs to Project Managers and successful interims can even move into permanent positions if they prove to meet the organization’s needs. Using your organization’s human resource team to recruit IT leaders can be economical. If your HR team knows how to advertise and screen IT talent you are lucky. Be aware: this way of recruiting IT leaders can be more time consuming and frustrating if titles and salaries don’t attract qualified candidates. The external avenues to find IT talent are varied. Retained executive recruiting firms provide a consultative style of recruiting, work on a contract basis, provide frequent updates and timelines. Their professional fees can be up to 33 percent of first-year compensation, plus expenses. The good news is that retained search firms offer placement guarantees, current salary data, and national databases of IT talent. Contingency recruiting firms help fill many lower-level IT positions. If you want to use direct advertising on professional websites, I recommend the following: LinkedIn, HIMSS, ACHE, ANIA, AMIA, Indeed, etc. Good luck with your health IT talent recruiting this year. Remember, the hard skills and learned experiences may look good on a resume and get candidates in for an interview, but seek out individuals that also have excellent interpersonal skills to close your talent gap.